Dental technology has really taken great strides over the past several years. One new tool that demonstrates how far technology has progressed is the intraoral camera. This tiny but powerful camera acts almost like a microscope for the mouth, allowing Dr. Parma to more clearly see smaller details that might be missed by visual examinations alone. When it comes to accurate diagnosis of dental issues for our San Antonio, TX, patients, a picture really is worth a thousand words! The advantages of this type of tool are obvious: Dr. Parma is able to more clearly see problems or potential issues that may arise in the future, thereby allowing him to make a more accurate diagnosis and make the best treatment recommendations possible for his patients. But use of the intraoral camera is an indication of a much broader view taken by Dr. Parma and his staff, and that is their belief that the best way to provide the highest quality care possible is by taking advantage of the very latest in dental technology. While it’s true that dental problems are usually accompanied by some sort of physical symptom, many are not. 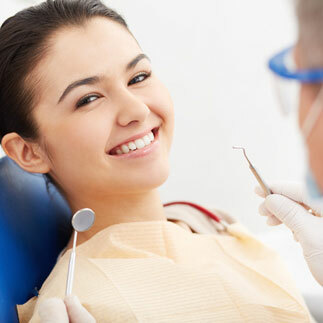 In fact, some very serious oral health conditions may have no symptoms whatsoever. In these situations, the intraoral camera is particularly helpful. The camera is used in conjunction with a computer screen, allowing not only Dr. Parma to have a clearer view of your mouth, but allowing you to view it as well. Thanks to the intraoral camera, you can actually see what’s happening inside your mouth on the computer screen. And, unlike traditional x-rays, which take time to develop and are somewhat difficult to interpret for the average patient, the intraoral camera provides “real-time” visuals that are easy for you to see and understand. To schedule an appointment with Dr. Parma, and enjoy the benefits of modern dental technology like the intraoral camera, contact our San Antonio, TX, office today.